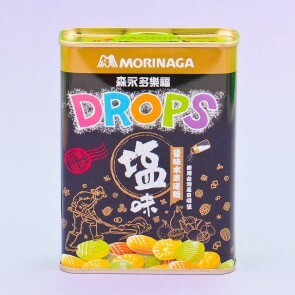 Morinaga is one of the biggest manufacturers of candies in Japan, and one of their most famous and oldest, candies are the Drops. 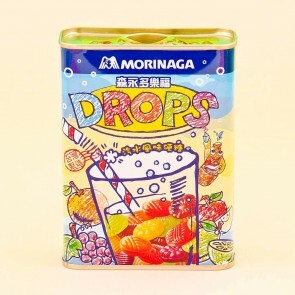 Morinaga wants to share the many flavors of old Japan - multi fruit-flavored sweet drops in very traditional candy tin cans. The collectible tin cans nowadays feature many famous friends, from Ghibli characters to Hello Kitty.